Tonight we will be pushing live some changes to the Empire Avenue Share Price calculation. Most people should see no changes overnight. Essentially, for almost all people, social media will no longer affect the share price on a daily basis. The selling and buying of your Shares will drive your share price up, or down. We’ve created a FAQ on questions you may have about the Empire Avenue Share Price. Please read it carefully. Question: What is the Empire Avenue Share Price? The Empire Avenue Share Price is the price of a single “Share” for your Social Media Profile on the Empire Avenue Market. Like the real-world Stock Market, your price is speculative and based on how many people value your Social Media profile. Every time someone buys a single share in you, your share price increases by a small amount. Every time someone sells a single share in you, your share price decreases by a small amount. The price of each share is valued in our own virtual currency that has no real-world exchange: Eaves. 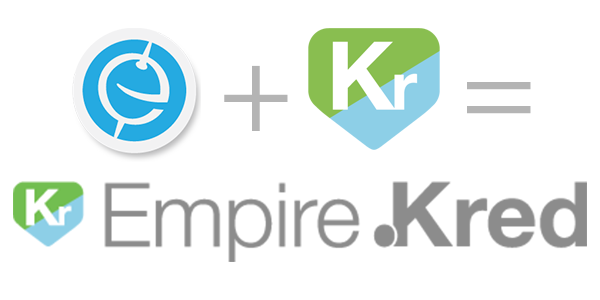 When you join Empire Avenue your Share Price starts at 10 Eaves. During the first two weeks we measure your social media (followers, connections, friends and activity) and will establish a “Base Share Price”. After two weeks, only Buys and Sells of Shares will affect your Share Price. Question: What happens during Market Open and Close? The Empire Avenue Market Closes and Opens on an individual basis once a day. This close and open reflects a new “trading day” and roughly happens around 3-6am Pacific. Between the Close and Open for each individual (which roughly takes a few minutes per individual) we analyze your recent social media activity and may adjust each of the Network Scores. Question: Do my Network Scores (e.g. Twitter Score) count in my Share Price? No. After the first two weeks on Empire Avenue, your Share Price is *only* influenced by Share Buys and Sells by others on the Empire Avenue Market. During the first two weeks, your Share Price may be influenced by your social media but not by your Network Scores. Question: Will my Share Price increase by being super active on (e.g.) Twitter? During the first two weeks on Empire Avenue, your Share Price will be affected by your social media activity as Empire Avenue sets a “Base Price” for you. After the two weeks, your Share Price will only be increased by Buys and decreased by Sells of your shares. Question: What is the Average Dividend Per Share? Your Shareholders earn Eaves based on the Social Media Activity you generate. This amount is based on your connections, activity and how that activity is shared, retweeted etc. The amount paid per share is called the ‘Dividend per Share”. For example, if Joe pays out 2e per Share on any specific day, and Jane owns 10 shares in Joe, then Jane will receive 20e on that specific day. To earn more Eaves, you should invest in those that are producing the highest dividends. 1. Simplicity in explaining and understanding a key metric on Empire Avenue. 2. Easier onboarding for new people. 3. Less weird and unexplained fluctuations that frankly make little sense. The Swiss Business Club partners with the Swiss Private Equity Conference 15!